Effective leader begin with the creation of a strategic plan. Hi, it’s Hugh Ballou, The Transformational Leadership StrategistTM, representing the integration of strategy and performance. It’s a seamless process. It doesn’t matter if you have a strategy if you can’t make it happen. It’s an intuitive skill that a musical conductor knows. We take this piece of paper with dots that we call music, and we lead people into creating glorious sounds. Highly engaged teams focused on the outcome and passionate about the delivery, which in music we call ensembles. My company is SynerVision®, the contraction of the words “synergy” and “vision.” SynerVision represents this collaborative sense in a high-functioning culture. Today’s session is about the strategy. We as entrepreneurs have lots of ideas. We have lots of ideas as to how it should go. We implement lots of tactics. At the end of the day, we are back where we started because we have not created a framework or a strategy into which those tactics fit. Long-range objectives and short-term goals, action plans, and daily to-do lists are a pattern of work that takes you to the end of the road. It takes you to your goal. It takes you to where you see in your mind that you want to be. This podcast is about orchestrating success, converting your passion to profit. It is not about money. The goal is not about money. Napoleon Hill in his book Think and Grow Rich listed the attributes of wealth. Money was the very last one because it was the least important. However, it was on the list. Like I said previously, we build a car, and then we are trying to learn how to drive the car. The car represents your enterprise, and the engine is your team. Your skillset is learning how to drive it. We need to put gas in the car. The fuel for our charity, religious institution, educational institution, our business, is revenue, cash flow, profit. We must have a bottom line profit. Nonprofit is a tax classification, not a philosophy. I know a lot of business leaders who are mentally running a nonprofit; that is not the end game. Quality of life, achieving tangible results, helping other people solve their problems is why we exist. That is why we and our organization exist is to provide value for others. In return for the value, we get this cash, this money that we use to pay the bills. Our bills are recurring every 30 days. So in this planning process, we are going to think about 30-day milestones. What are we going to accomplish on a monthly basis? How do we define what we do, what our team members do? Those are things that are so critical in the work that we are going to be doing, the work we are doing, the work we should have been doing. If you don’t have a strategy, stop. If you are going to be successful, you must write a strategic plan. For charity, I have reframed it into what I call a solution map. It is the same thing. Where you want to be, how you are going to get there. That is the document. It is not a business plan; it is an operational plan. You can extract a business plan that you can give to your banker or investor. You run your organization on a strategic plan. There are many components to it, more than we can cover in a podcast. I want to give you some key elements to think about. 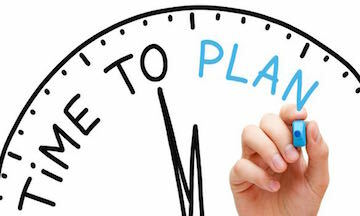 My planning process is proprietary, and it is a process I use and share with clients. To the fairness of everybody, I won’t give you all the components of it. However, I will help you get started. If you go to thedefinitiveleader.com, you will get my report. There is a part of it that talks about having the strategy. If you are a fan of Steven Covey, he says, “Begin with the end in mind.” Define your future vision, your organization 3-5 years out. Write the statement in present tense. As Napoleon Hill discovered, the successful people he interviewed all had definiteness of purpose. They perceived it as already having happened, and they proceeded to move toward it without having to perfect every step. They knew where they were going, they built a team around them, they brought value to others, and they kept a positive mental attitude always. Successful people think in the future. We think ahead. We find the result. We solve the problem. There are three descriptors that each define leadership. 1) Leaders get things done. We don’t just talk about it, but we accomplish our goals. We must write them. 2) Leaders figure out how things happen. We get it done. That means we have to figure out how. Lots of people have not figured out how to do what they want to do. That is why we need coaches. 3) A leader is a person of influence. The musical conductor is influential. People play at a higher standard. They sing better. They create an ensemble because we influence them to access that passion and access the excellence that is already in there and create the excellence of team that I told you was ensemble. It is the synergy of team. When Napoleon Hill interviewed Andrew Carnegie, Carnegie said to him, “Any idea that is in the mind and emphasized, that is either feared or revered, will begin at once to convert itself into the most appropriate and convenient physical form available.” Define the vision. Write it down in present tense. Share it with people that matter. Proceed toward that outcome. Envision the future, like in my previous podcast, and go there. First, we want to talk about what our organization is about. The vision is the concept. We do this. Synervision Leadership Foundation provides high-quality resources and support systems for leaders accomplishing goals that change people’s lives. We change people’s lives who are changing people’s lives. We create the synergy of team together. My vision statement is to empower leaders, social entrepreneurs, to make a difference with their enterprise and create the lifestyle and outcome they deserve. My mission statement is: We accomplish this through coaching, keynotes, workshops, online trainings, group masterminds, summits, and seminars. We have the highest performing team with the best practices available on the planet. That gives you an idea. Vision is the concept, and mission is how you are going to achieve it. If someone sees you in the elevator and says, “What is your organization?” blah, here is my vision. It is compelling. They get off the elevator and say, “How do you do that?” Here is our mission. In your planning process, you want to define the future. What does it look like? Typically, there are three pillars, three objectives that are 3-5 years. If you wrote down everything you wanted to accomplish and group them in categories, you will begin to see that there is most likely three categories. One would be financial. What does the financial picture look like? What is the revenue you are bringing in? Two, what is the organization look like? Who works with you? Are you worldwide? Are you regional? What does the organization look like? What is the machine that drives the results? Three, products and services. How will you generate the revenue? We must have multiple streams of income. For charities, it is eight. For businesses, it is infinite. We need more than one. If you have one, you will go broke. Defining how you are going to generate revenue and building your products and services to provide value is the secret. Define the future. Long-term vision, boom, it looks like this in 3-5 years financially, organizationally, and products/services. That is your long-term vision. Scale it back to one year. Your short-term goal is one year or less. What does it look like in one year on your way to that big goal? Define it in present tense: financial, organizational, product/service. Then, what are you going to do every 30 days to get to each one of those? Start listing the milestones, the major steps to get to that one-year goal. You can do more detail for the first 60-90 days, and then it is more general after that. Measure your milestones for every 30 days. Life happens in 30-day rotations. We pay the bills. We think in monthlies. Put your milestones down in present tense, and accomplish this at the end of the month. Then we start thinking about the milestones and breaking them into taxes. This is your action plan. We convert from the statement in present tense to an action statement: to create, to draft, to write, to contact, to develop, to implement. Action statements drive action. We have an action statement, which is a task for an action. We have a responsible person, and we have a deadline. When will it happen? This is your accountability mechanism for yourself and the team. This should be shared openly. That is the accountability. Smart goals: specific, measurable, accountable, realistic, and time. Realistic, do you have the time, do you have the resources? Time, when will it happen? Accountable, have you shared it with your team and people outside of your team? Once you have shared it, other people will know where you are going and they are in a position to help you. We don’t write goals and put them in a drawer; we write goals and share them, especially when you have a team together. Formal team, informal team. Virtual team, live team. It’s important to have a program at work that you co-create. You are the leader. You define the vision. You define the mission. You define the goals. You define the milestones. Now the team starts co-creating the how-to. For each person on the team, here is the secret sauce: the DVDs, Daily Valuable Deliverables. What will you do each day on one of those goals? These are baby steps. You must do them if you write them on your calendar. Five days a week, three DVDs. Daily, every day. Valuable, they are related to your goals. They are results-oriented, not activity-oriented. If you do three of those a day, that’s 15 a week and 60 baby steps a month. It makes a huge qualifiable difference in the results you and your team are going to see. Teach your team to have that kind of discipline. That is the secret sauce. There are many more components to your micro-strategic framework. Who is your customer? Who is going to come to your church or synagogue? Who will buy your products and services? Who will donate to your program? Who will come to the events that you have? Who will join your community online? Define that person. It’s not everybody; it is a very specific targeted person. Specific demographic, sociographic, psychographic, age group. Who will be attracted to you, and why? This is the other piece that requires a whole lot of thinking. All of these components require a whole lot of thinking. I am giving you a huge amount of data in a short period of time. Go to the webpage on transformationalstrategist.com or hughballoublog.com for this podcast #4, and you will see these things listed on that page along with the links I am referring you to. Why do people need you? Your unique value proposition is the very thing that people need from you and they can’t get from other people. Why should they attend your events? Why should they subscribe to your newsletter? Why should they donate? Why should they buy your products? Why did people make a decision to join your tribe? We haven’t taken time to clarify the value proposition. In there is your brand identity—this is who we are, this is what we represent. It is your brand promise—this is what people are going to get as a result of participating. As we are crafting the statements, it’s important to understand why people need us and be able to tell them. People don’t care what we have to offer until they understand why it’s important to them. Then they will understand the what. They also need to understand the impact that participating will have to their organization, to their lives, to their finances. What impact will you provide to them? Here are the quantifiable results. Another component is: If you don’t have a budget, that’s wrong. Every line item on your budget should tie to a milestone, to one of your activities in your plan. There is a circular reference, there is a discipline. If you spend money, what do you get? Is it leading you toward your final result? Having the discipline to match your budget with your plan and the discipline to stay focused on the plan—if you need to spend money on something not in your plan, either you don’t spend it or change your plan. It’s important to have a unified plan and the discipline in that plan. Converse to what some people think, writing a plan does not constrain or limit your creativity. It actually frees up your creativity because you are not spending time thinking about what to do next, working out the details, or fixing what you did wrong or out of sequence. You are spending your energy and time being creative, doing what you want to be doing when you pay the upfront price to create your plan. There are many models for strategy. I would encourage you to do a lean strategy if you are an early-stage start-up or a concept. Get the major components. On The Definitive Leader, I give you an idea of what those are. Build your plan. Share it with your team. Share it with the advocates that you have in your life. Keep those advocates up to date. 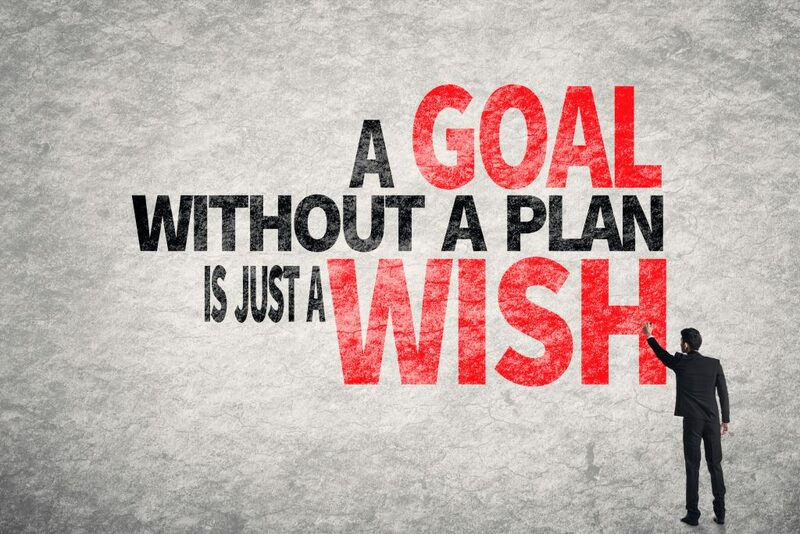 Share your goals with them every month. The more you share your progress, your challenges, your celebrations, the more energy those people will bring back to your project. Your advocates are people who like you, you like them, you have a relationship, and they understand your value proposition. Number one leadership goal is to define the end results and create a pathway to get there. Equip yourself and your team to accomplish those goals. Long-term objectives are 3-5 years. Short-term goals are one year or less. Milestones are monthly accomplishments. The action plan is for weekly actions to get to the milestones. DVDs are for what you will do every day. It sounds like a whole lot of work. Well, you chose to do this. You could have been a barber. You could walk into work and cut people’s hair or be a stylist. You are changing the world. It requires some heavy lifting on your part. It requires learning things that you don’t know. It requires having a coach or a mentor who is a subject matter expert who will give you value on leadership skills, sequence, planning, and marketing. Find the right person. Have a coach, have a mentor. The people who are successful have successful people around them. When you pay somebody to hold you accountable, you pay somebody to teach you the things that you don’t know that you don’t yet know that you don’t know. There is a different dynamic; there is a level of commitment that drives success in a quantifiable way. This is Hugh Ballou. Here is a note to the weary and the frantic. You are too busy, you can’t get things done. Stop. Go back to your plan. Make sure that you have things in the sequence, and the sequence is reasonable. Once you put things in a sequence, you will find out that you have more time to do things correctly, and you have to spend less time going back and doing them over when you really didn’t have time or thought you didn’t have time in the first place. Don’t discount planning because you don’t have time. Take the time. Pay the upfront cost. That will make sure you don’t go in the ditch and become weary and frantic spinning your wheels ending up where you started at the beginning of the day. At the end of the day, you want to mark up something. I have accomplished these DVDs. They are baby steps. I have done it. I am closer to my goal. This is Hugh Ballou, The Transformational Leadership Strategist. I will see you on the next episode. (c) 2016 Hugh Ballou. All rights reserved.